At the turn of the year, like many others, you had weight loss and fitness goals in your New Year resolutions. Somewhere along the journey you fell off and it’s almost mid-year and you have made exactly zero gains from where you were on the first day of the year. The heart and soul are willing to work out but you hardly ever have the time. The trip to the gym is a commute of its own and you have a family life and work commitments that have to be balanced. So you let the annual membership subscription you paid for go to waste. Getting fit doesn’t have to be that strenuous and expensive. You can get fit at home. You can choose to set up a gym at home or do body-weight exercises. This can be the spare bedroom, your living room or even outdoors in your backyard. The room should be well lit and ventilated. While picking the room, also consider the types of exercises you want to be doing there and the machines, if any, to be brought in. Some exercises like jumping jacks and shadow kicking involve a lot of movement and you don’t to be kicking the TV of its stand. 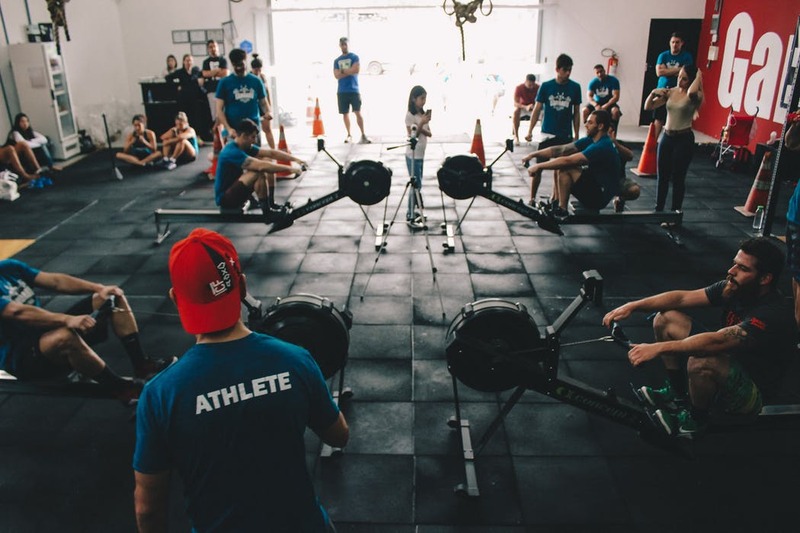 Machines such as treadmills also consume a lot of space while others like dumbbells and rowing machines, check out Nordictrack Rowing Machine Review, need a storage space especially if you work out in a communal space like the living room). It is therefore important to consider all these factors while picking your exercise space. Your exercise regimen don’t have to be too complex; you are not a body builder or a professional athlete. Unless, of course, you are one. The goal here is to get some regular exercise daily. Find an exercise that you enjoy and which is suitable for your fitness goals and stick to it. There are no limitations to what you can do at home. If it’s yoga you want to do, get a mat and some yoga videos and get started. There exercises which are intense and work out the entire body making them more effective for those with limited time. Exercise doesn’t bring results in isolation. What you eat is equally important in helping you get in shape. Do not however start a fad diet which often has no long-term results and some of which can even be dangerous since your body might be deprived of essential nutrients. A simple well-balanced diet is often sufficient to keep you healthy and fit. Eat a lot of fruits and vegetables to keep you feeling full for longer which helps with portion control. Avoid junk food and overcompensating for the burned calories. This is when you eat too much in your post-recovery meal that you negate all the gains made working out. With a gym subscription, the thought of your hard-earned money going into waste is enough to keep you showing up every day. At home, you are on your own and motivation to keep working out can be hard to come by. If you can, get an exercise partner to keep you accountable. This can be your friend, partner or child. There are also a lot of YouTube videos which act as a training guide as well as motivation.